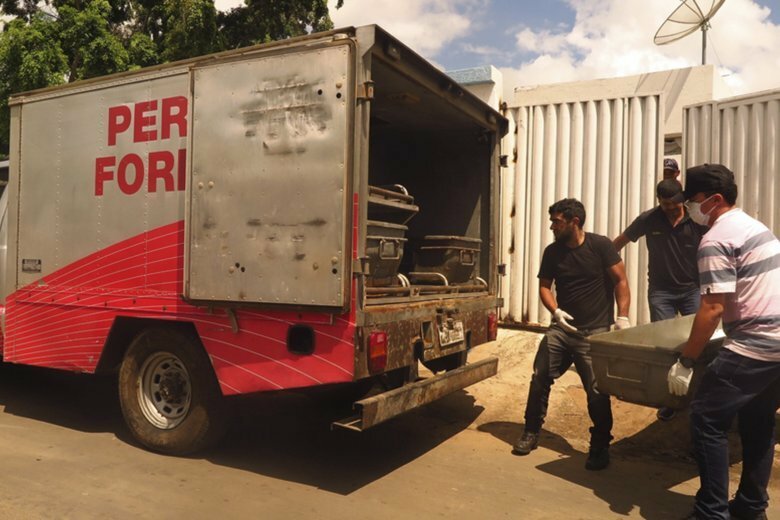 RIO DE JANEIRO (AP) — Authorities said Saturday two more people have died after bank robbers attempted to carry out heists in northeastern Brazil, bringing the death toll to 14. Brazil’s military police said that the heavily armed group of assailants took hostages who were traveling on federal highway BR-116 around 2 a.m. on Friday. The highway leads to Milagres, a city of 30,000 inhabitants in the state of Ceara. Military police said the criminals were planning to take the hostages to two banks when they came under police fire and a shootout ensued. Lielson Macedo Landim, the mayor of Milagres, told the G1 news portal Friday that the hostages were executed by the criminal group and not killed by police fire. He said that two children were among the dead. His account could not be verified. Military police said Saturday that five of the criminals died during the shootout. Two others died a few hours later in a hospital and an eighth suspect was killed in a separate clash with police on the outskirts of Milagres. Police said three others were arrested and explosives, firearms, and three vehicles were seized. “Ceara is reducing the rates of violence, but unfortunately there are tragedies like this,” the minister said Friday.